There’s a new frontier in diversity programs focused not on race or gender but on cognitive ability. An increasing number of companies are launching initiatives to find job candidates with autism. Unfortunately, People with disabilities are twice as likely to be unemployed as people without disabilities and in the case of neurodevelopmental disabilities, such as autism, the number may be far higher. Employers are now taking a second look at people with autism and seeing not deficits, but a pool of dormant talent. Social difficulties are one of the hallmarks of autism, making it hard to make it through a traditional hiring process. Roughly 60% of people with autism have average or above average intelligence, yet 85% are unemployed. Employers are now trying to harness that talent by providing a more practical way of assessing a prospective employee’s skills rather than relying on a traditional job interview with requires social communication and eye contact. 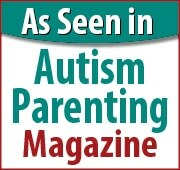 Companies like Peak Peformance www.pptcenters.com train and help to place those with autism in the work force. They work in conjunction with employers to provide participants with the specific tools for success in the work force. Employers have also found that there is a lower turnover rate of employees in highly repetitive jobs when jobs are analyzed to properly place with individual talents. People with autism bring unique strengths to the workforce. Supporting neurodiversity and hiring people with autism because of their differences and not in spite of them benefits both employer and employee. Medical marijuana has been touted to cure everything from pain to cancer, but how about as an autism treatment? There is anecdotal evidence that marijuana’s main non-psychoactive compound — cannabidiol or CBD — helps children in ways no other medication has. Now a first-of-its-kind scientific study is trying to determine if the link is real. A clinical trial is underway in Israel to test the benefits of medicinal marijuana for young people with autism. The study began in January at the Shaare Zedek Medical Center in Jerusalem. The study involves 120 children and young adults, ages 5 to 29, who have mild to severe autism, and it will last through the end of 2018. Adi Aran, the pediatric neurologist leading the study, said nearly all the participants in the study previously took antipsychotics and nearly half responded negatively. Currently, only two medications have been approved in the United States by the Food and Drug Administration to treat the symptoms of autism. Both are antipsychotic drugs that are not always effective and carry serious side effects. One major concern is the long-term impact of prescribing cannabis to young patients is the possibility of causing harm to the developing brain; although antipsychotic drugs currently prescribed to autistic children are certainly not without serious side effects. The strain of CBD that is being used in the study led by Dr. Aran is a high CBD strain or ‘clean 98 percent CBD’. Some anecdotal evidence from other families that have used medical marijuana to treat autism symptoms found that the high CBD strains weren’t necessarily working for those with behavioral issues and found greater success with other strains. Is There a Connection Between Sugar and Autism? Most elementary school teachers will confirm that there is a link between sugar and behavior but now scientists are looking deeper into that correlation. Researchers at The California Salk Institute observed behaviors in pregnant mice that were fed a diet of high glycemic foods versus a diet of low glycemic foods. The mice in the study were specifically bred to demonstrate symptoms of autism. High-glycemic foods produce a rapid rise in blood sugar and tend to be rich in simple carbohydrates such as sugar (potatoes, white bread and short-grain rice). Low-glycemic foods don’t produce such a blood-sugar spike. They include foods high in protein (nuts, beans and meat) and complex carbohydrates (whole grains and vegetables). Low-glycemic diets have long been recommended for people with diabetes, to help keep blood sugar on an even level. Though their diets differed, the two groups of mice consumed the same amount of calories and maintained similar weights. After the pregnancy and the pups were weaned, the groups were maintained on the same diet and researchers tested the behavior and brain development between the two groups. All the mice in the high-glycemic diet group demonstrated autism-like behaviors. They avoided contact with new mice placed near their chambers. They repeated actions with no apparent purpose and groomed excessively. By contrast, the mice in the low-glycemic group showed an overall reduction in their autism-like behaviors. They spent more time near new mice and less time performing repetitive behaviors such as excessive self-grooming. Researchers continued to look for the differences between the two groups and found that the mice fed the high-glycemic diet had far lower levels of doublecortin- a protein associated with newly developing neurons. In addition, the mice on the high-glycemic diet showed more evidence of gene activity associated with inflammation and higher numbers of microglia (immune cells in the brain). There is a great deal of research in support of sugar producing chronic low levels of inflammation and more recent studies have implicated inflammation during pregnancy with an increased risk of autism, although most of these studies focused on inflammation during pregnancy. Some researchers have proposed that the chronic inflammation produced by sugar is why diabetes during pregnancy increases the risk of autism in offspring. Although much research still needs to be continued, a low-glycemic diet is generally considered healthful. Focus Formulations products address this issue by having very little if any sugar added to their products and they are engineered to address nutritionally deficient needs in autistic children. Autistic children often have nutrient imbalances either due to metabolic deficiencies or limited diets and it is prudent for families to work with a nutritionist for the optimal health of your child.